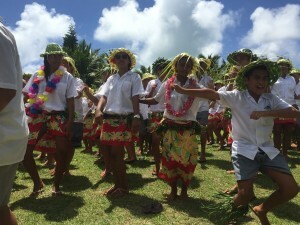 Early this year the students and staff of Araura College took to the streets and danced their way around the island in what is known in Aitutaki as a Koni Raoni. 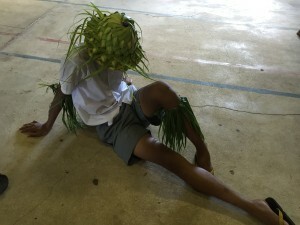 The purpose of the event was to not only raise money for the school but also to give the students a chance to participate in the practise and the event of the koni raoni as we believe the students benefit not only from the cultural awareness that comes from the singing and dancing but also the feeling that they are like one big family. It has been a pleasure for all of the teachers to watch the students support each other and also see other students taking a leadership role in leading the dancing and singing. 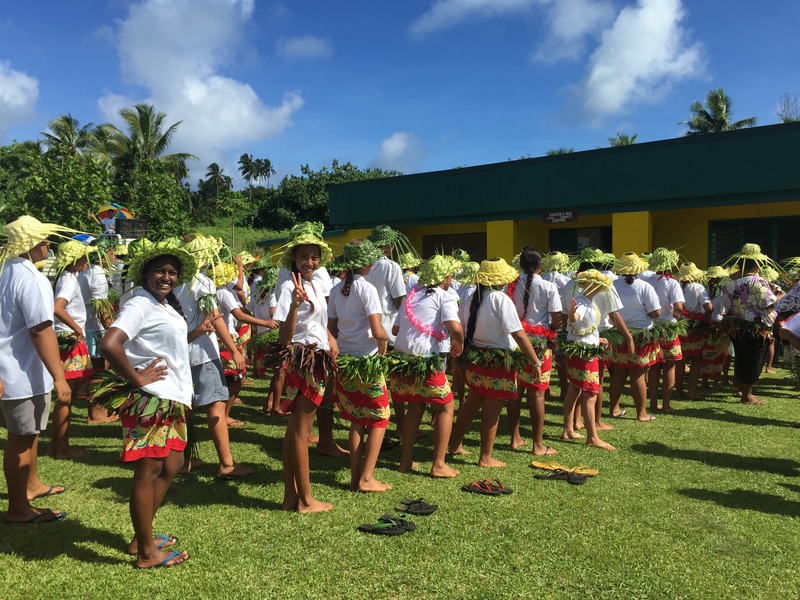 We have a hard working cultural team headed by Mrs Tukumate Ngatuakana and together in a short space of time they transformed the students into a dancing sensation. 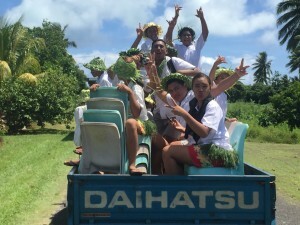 The students (and the staff) visited all eight villages on Aitutaki and also managed a quick stop at Vaitau Primary School. 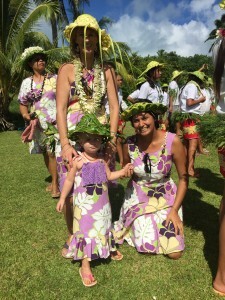 At each village the students sang songs and performed dances. Many villages provided drinks and food to eat so that we could keep our energy levels up. 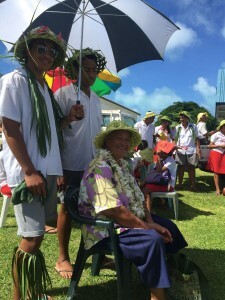 Araura College would like to say a huge Meitaki Atupaka to all of the villages and people that donated and supported us on the day because of this support we raised a total of $20, 516.30 – not bad for a small school and a small but very generous island.